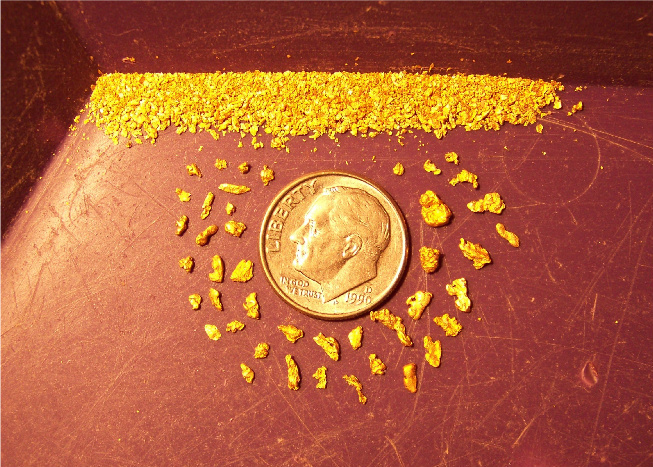 Prospecting for gold is something that just about everyone has wanted to try at least once. As a hobby, prospecting offers a special excitement. There is a constant hope that the next pan will hold that bonanza you've been dreaming about. No thrill can compare with the excitement of seeing even just a few flakes of gold glittering in the black sand at the bottom of your pan. Located in the heart of Alabama's gold belt, with miles of creek to pan, sluice, dredge, high-bank, and metal detect. You can also find red garnets, fossils, citrine, and indian artifacts on the property. 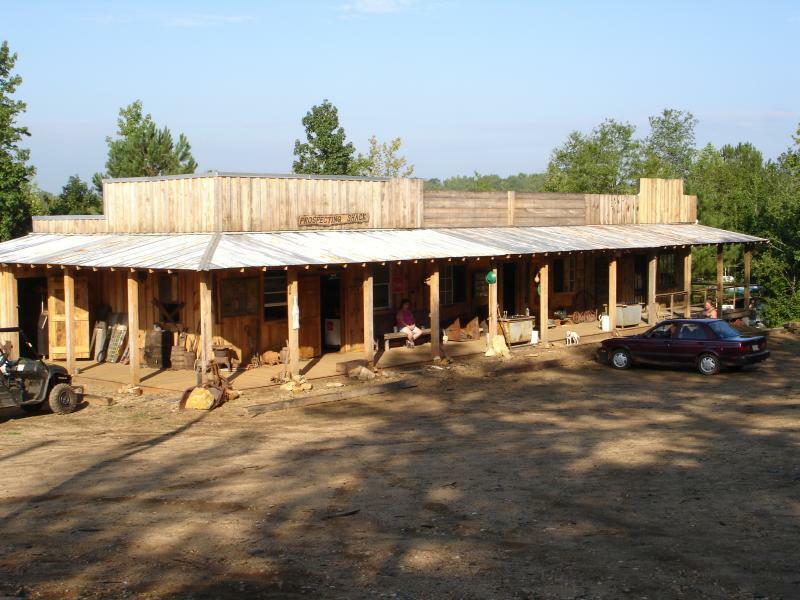 Click here for more pictures of the prospecting shacks. Call now and make your reservation for a prospecting shacks. The rental fee is $75 a night. Alabama Gold Camp, Inc. All rights reserved.